One of the most common problems among gamers is back pain. Spending hours in front of a computer screen is not the most comfortable thing in the world. On top of that, the chairs we normally sit in do not provide good spine support. Muscles tend to tighten because of poor positioning. Especially during long days of gaming, most gamers do not enjoy the experience to the maximum due to the annoyance that this causes them. Do you want to play videogames while lying down? 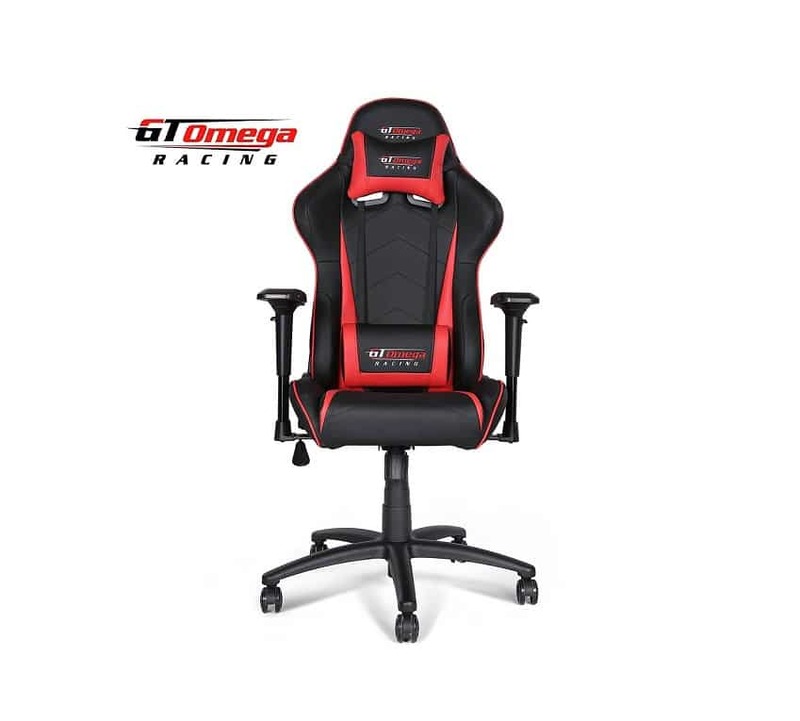 To the joy of many, it is now possible to purchase gaming chairs that, besides being comfortable, have a luxurious look that will leave your mouth open: Check out the GT Omega Pro Racing, the ideal chair for professional gamers. Its main and most relevant feature is that it offers great lumbar support. Something that seems that some manufacturers of gaming chairs seem to have left to the side completely, having as a priority the esthetics. 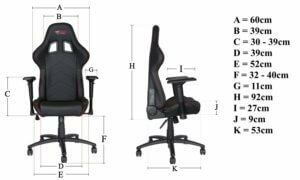 The GT Omega Pro Racing Chair has a “hugging” structure, much like other premium office chairs. It allows you to sit and play without constantly having to twist. The secret is that these gaming chairs work with the way your body sits, and adjust to it. That is, they adapt to the position in which you are so that you do not have to blow your back when you finish playing. The base of the GT Omega Pro Racing Chair is made from steel. It will give you the strength and support that is needed when staying in the same position for an extended period of time. In addition, its main color, black, is mixed with touches of vibrant red, yellow, blue, green or blue, depending on your choice. 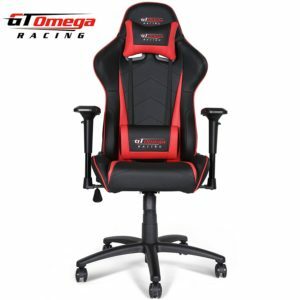 The GT Omega Pro Racing Chair is a quality chair in many respects. The cushion that is located behind the head is removable. The same goes for the back support. These two cushions are certainly a lot of help for those gamers who have posture problems and end up with back pain after playing. Adjusting a gaming chair is usually a tedious process. However the GT Omega Pro Racing allows the player to adjust to whichever position that suits him best in a heartbeat. The user can choose whether to recline his chair in 90 or 120 degrees forward or backwards. Why not? Do it! Comfort comes first. It is also possible to adjust this chair for the gamers height. Many gamers who are much taller than average tend to suffer when choosing a gaming chair. It even works perfectly with smaller players as it is adjustable to any measure. You’ll never have to stack a pile of cushions on the seat of your chair to feel comfortable again. To adjust the height, it helps you with its modern spring cylinder mechanism. It will remain stable even after several adjustments. That, and your adjustable armrests are other powerful reasons to fall in love with this chair. The chair itself has a combination of synthetic leather and the luxury is appreciated by the naked eye. The cushions are extra soft, so they offer the comfort and comfort that you and your body deserve. Once you sit down, you will experience merging with it. 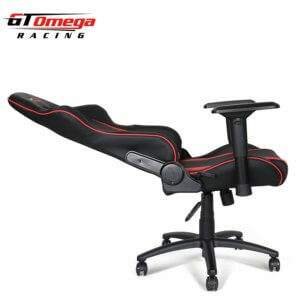 Definitely, the GT Omega Pro Racing Chair is the ideal option when buying a new chair. It is made with the best materials. That is not always noticeable from the first moment you sit on it as it may take a while until your body is adjusted to the chair. The chair is of very high quality and we can certainly recommend the purchase. However, the high quality is also reflected in the price. If you are looking for a cheaper gamer chair, you can look at the comparison of all chairs with a price under € 100.